The Church of God has procured a piece of land for constructing a hospital. National Church of God Overseer Joseph Ndashe disclosed that the church wants to supplement government efforts by investing in the health sector. Bishop Ndashe revealed that the construction of the hospital will commerce once necessary logistics are put in place. He expressed optimism that the construction and opening of the health facility will help in creating the much needed jobs in the country. 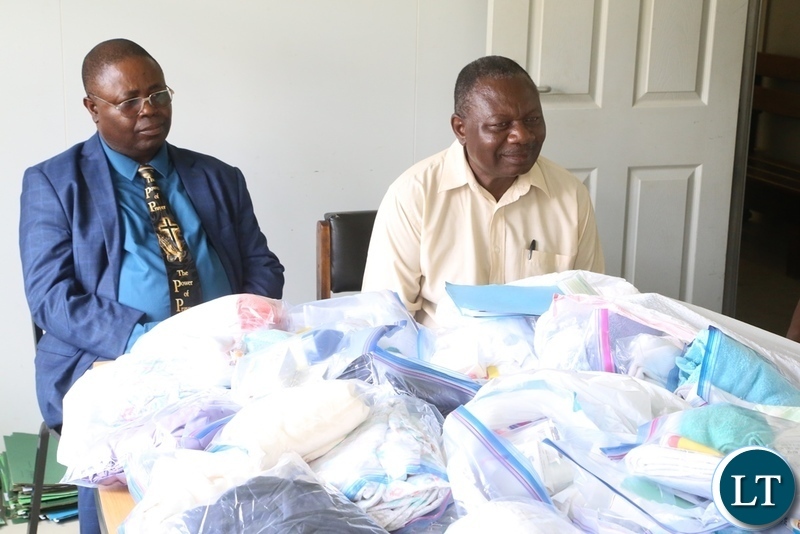 Bishop Ndashe was speaking when he presented assorted items to patients and hospital administration at Liteta hospital in Chibombo today. He explained that the church was compelled to make the donation because of the strong attachment it has with the health sector. Bishop Ndashe said the church took advantage of Christmas day to share with the under privileged people. He explained that the church wanted to make a difference by donating to a rural hospital as opposed to institutions that only donate to Lusaka based health facilities. And Liteta hospital Senior Resident Medical Officer Patson Siwale thanked the Church of God for donating to the patients and administration. Dr. Patson said the assorted items that have been given to the patients will ease their suffering. He has since implored the church to continue extending kindness to patients.